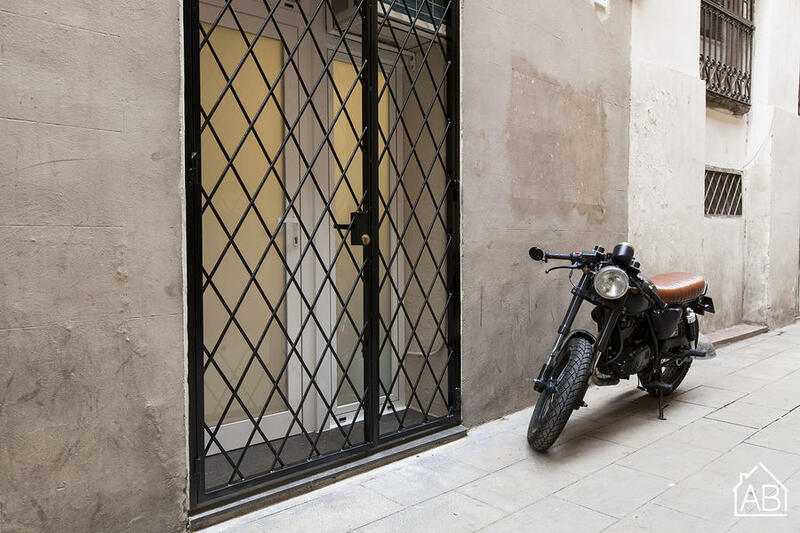 This cozy studio apartment in Barcelona is located in the amazing El Born neighborhood, one of the oldest and most interesting parts of Barcelona. Get lost in the beautiful picturesque streets and find many amazing cafés, bars and restaurants in this lovely area. The location is ideal, because it will take you less than ten minutes walking both from the beach area of la Barceloneta and from Las Ramblas to get to the apartment. You will also have easy access to the rest of the city, as you have several metro and bus stops nearby. Decorated in a light color scheme, this cozy apartment can sleep up to 1 person, with one single sofa bed. The kitchen is well equipped and the apartment comes with a TV, washing machine and air conditioning, all for your convenience.